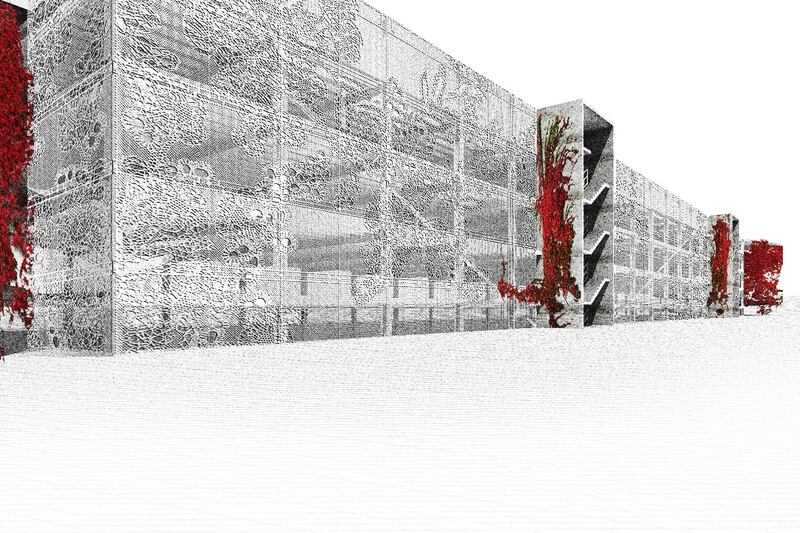 Our design for a parking garage in Freiburg’s former freight train area is celebrating the ultimate German fetish: The car. 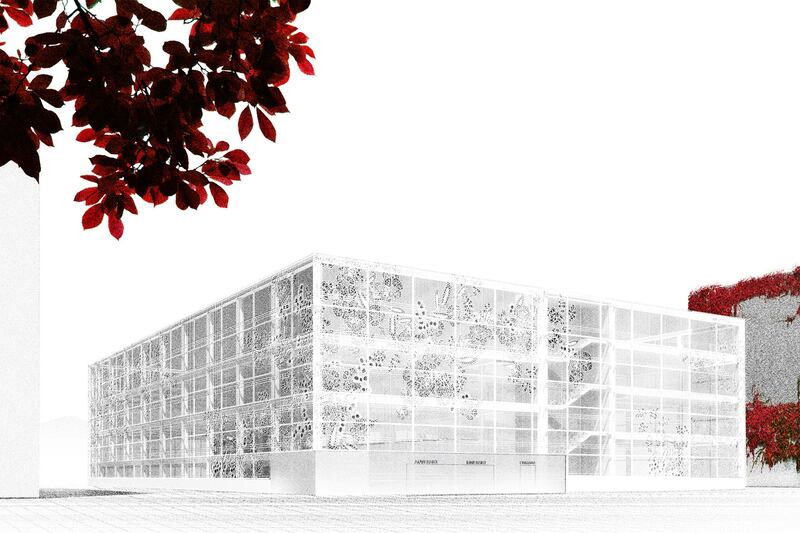 The steel building is clad in a lace mesh facade that recalls associations to luxurious lingerie wrapping the objects of desire that enable the enjoyment of unrestricted speed on Germany’s autobahn. The façade casts its delicate lace pattern as a shadow onto the cherished machines. The color coding in the parking structure is restricted to different shades of white, highlighting the differently painted cars as the only source of color.